We have chemistry to thank for so many things – from the bacteria-killing chlorine in our water to the semiconductors in our smartphones. Chemistry literally makes modern life possible. Want to apply chemistry to appreciate the elegant complexities of living systems? Biochemistry—the true merging of biology and chemistry—does just that. 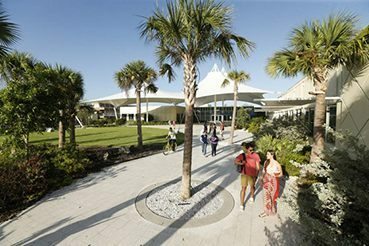 Earn a chemistry degree or biochemistry degree accredited by the American Chemical Society at Eckerd College and you’ll be ready to take on the world, whether that means grad school or a career in industry or government. Learn by seeing and doing chemistry and biochemistry, not just by reading it. Within the James Center for Molecular and Life Sciences, our students have access to state-of-the-art instrumentation and laboratory facilities, allowing them to acquire the lab savvy necessary in today’s competitive job market. 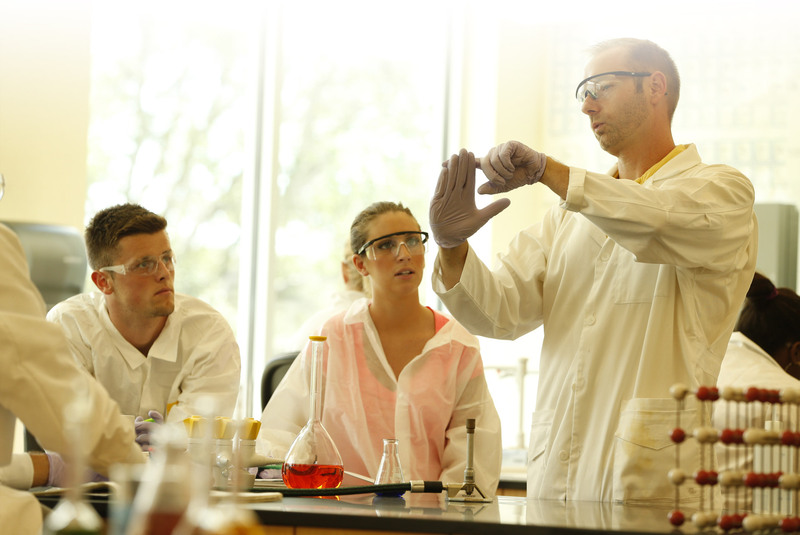 An Eckerd College chemistry or biochemistry degree, combined with a broad liberal arts education, provides the flexibility for educational and career paths afforded by few other academic areas. 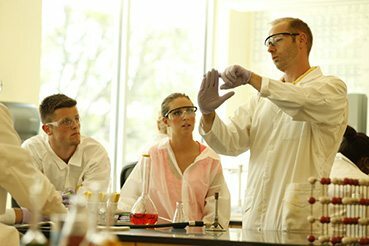 About 50% of our majors attend graduate school in chemistry or biochemistry, while the rest enter industry or medical school. Want more? 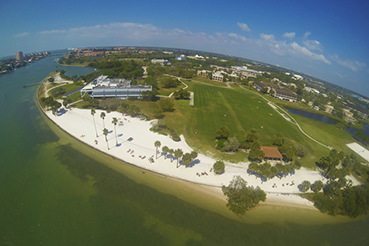 Eckerd experiences will make you competitive for summer research opportunities such as the National Science Foundation Research Experiences for Undergraduates Programs. 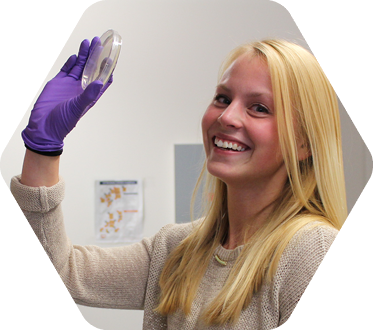 Attend local and national scientific conferences to showcase your undergraduate research progress, such as the American Chemical Society and the American Society of Biochemistry and Molecular Biology meetings. We offer more than 300 study abroad destinations every year, including three-week study trips between semesters and alternative spring break service projects in Mexico, Guyana, Iceland, Panama and Cuba. Roll up your sleeves and show local kids how fun science can be at the annual St. Petersburg Science Festival. You’ll make slime, build molecular models and carry out alchemy-type transformations by plating pennies and flasks with silver, copper and bronze. Why do cells need so much water? What makes hair curly? How do I get the energy to run that race? In this class, you will apply your chemistry foundation to understand the molecular workings of living systems and gain an appreciation for the elegance of the biochemical world around you. In this class you’ll learn how to answer two basic questions: What is this stuff and exactly how much of it do I have? Our food, drug and cosmetic industries rely on people who can answer these questions. Analytical chem is also vital for medicine, forensics and environmental stewardship. Lab classrooms in the James Center for Molecular and Life Sciences make learning seamless – no need to cart your backpack down the hall for lab – and the coffee shop in the lobby keeps those neurons firing. What can I do with a chemistry or biochemistry major?